Life Is One Year Old! It's hard to believe we are fast approaching our first birthday on August 15th! With this in mind we are planning a week long Thanksgiving celebration from September 17th-22nd. God has been so good and we want to give Him all the praise! There may be a small charge for some of the activities. Our next 'Life Support' prayer evening will be at 7.30pm on Thursday August 30th, when we will again be praying for our town and surrounding areas. Please come along and join us if you would like to be a part of this. As we write this news update we are also working on bringing our photo gallery up to date. So watch this space! If you can't wait that long then please take a look at us via Facebook which is updated more frequently! As always we'd like to say a massive THANK YOU to all our customers, volunteers, our wonderful landlords and most importantly our amazing God! 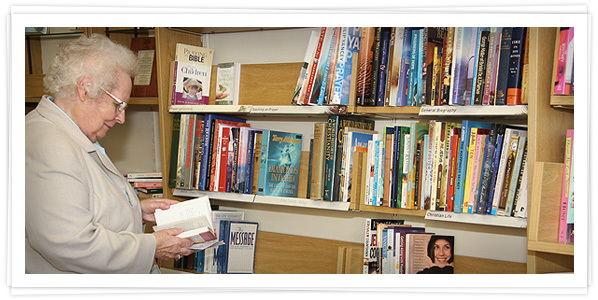 First of all a BIG THANK YOU to all who support us already at ‘Life’, whether by prayer, ordering/buying books, cards etc, by donating second hand books and CD’s etc, by volunteering in the shop, or just visiting and enjoying a cup of tea or coffee with us. Most of all we thank God for what He is doing here in Weston. It has been an amazing journey so far! 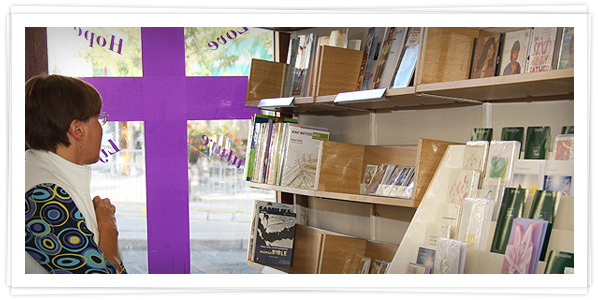 It is hard to believe that just 9 months ago we opened the shop with nothing more than a few donated second hand books and the conviction that God wanted us to put our feet where our faith was. 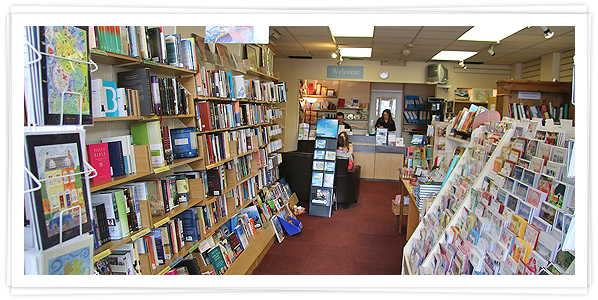 Now we have a fully stocked shop, and all this in a time when large, established, Christian bookshop chains have disappeared from our towns and cities. They will be, and are sadly missed by many. 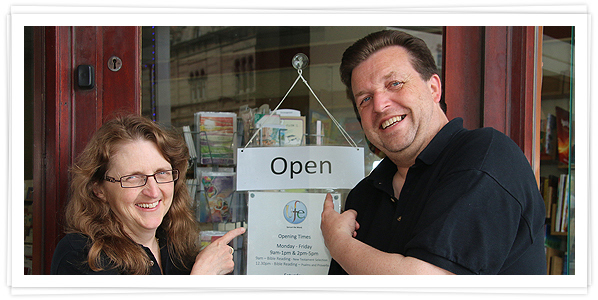 Our aim is to make the word of God available ‘on the High Street’. 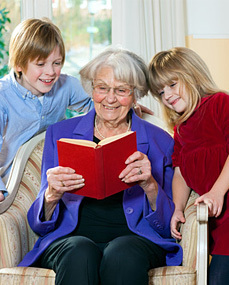 We want anyone who is searching for answers to life’s questions to be able to find the One who knows all things, whether by reading the verse of the day from the open Bible in the window, or coming in and joining us as we read a chapter of the Bible, pray or have our daily devotional or by sharing something as basic as a cup of tea and a listening ear for a few minutes. 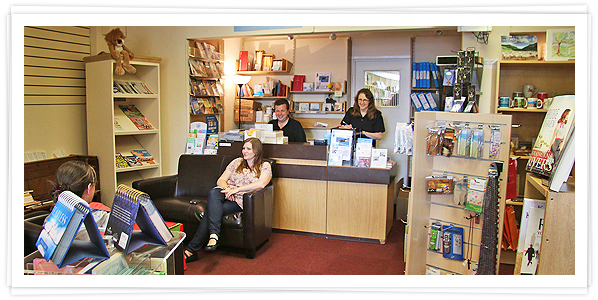 We also want to be able to help you to reach friends, family and those outside of our churches with the life changing word of God in an accessible way, by providing inspiring books, DVD’s, CD’s, daily reading notes, greetings cards and even art and T shirts! We are working in conjunction with Weston-super-Prayer & Praise to hold a ‘Life support’ prayer meeting, for our town and area, in the shop every other month in between the Weston-super-Prayer dates. The next of these will be on Thursday 28th June at 7.30pm. In May we held a coffee morning in support of Chat (Chaplaincy About Town). Thank you to all who came to that event. Our next Coffee Morning on Friday 22nd June from 10am-12 noon will be in support of Weston Foodbank. We’d love to see lots of people there to support this great cause. Also we have a box at the shop where you can donate non-perishable foods for Foodbank. Please could you announce these dates within your church notices? 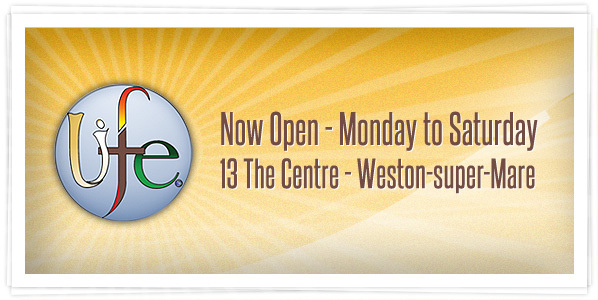 If you have received our latest news update by post you should have also received a new poster telling you our opening times and some of what’s available at Life. We would be grateful if you could put this up at your church. If you have not received a poster and would like one for your church please contact us via the website and we will send one out. There are still people who can’t or don’t want to use the internet and appreciate the advantages of dealing with real people face to face and handling real books! At the moment we have a massive 3 for 2 event on children and young people’s books so if you will be looking for prizes for your Sunday school/children’s work now is a good time to look! If you haven’t been in to Life already then please do pop in and take a look for yourself, you may even be surprised to find that many of our suppliers will now price match internet alternatives. We hope you all had a great Easter celebration. We'd like to say a big "Thank You!" to everyone who came in over the Lent & Easter period and supported us in prayer, presence and purchase. Everyone who walks in the door is a real encouragement, so pop in for a drink some time, we'd love to get to know you. An extra Thank You to those who took bookstalls to events and signed up for perpetual bookstalls. 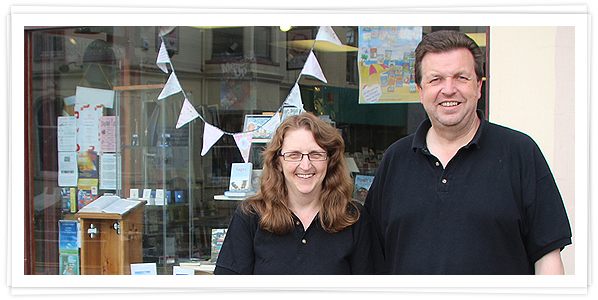 If you'd like more information about bookstalls then give us a ring/email or pop in the shop and ask.